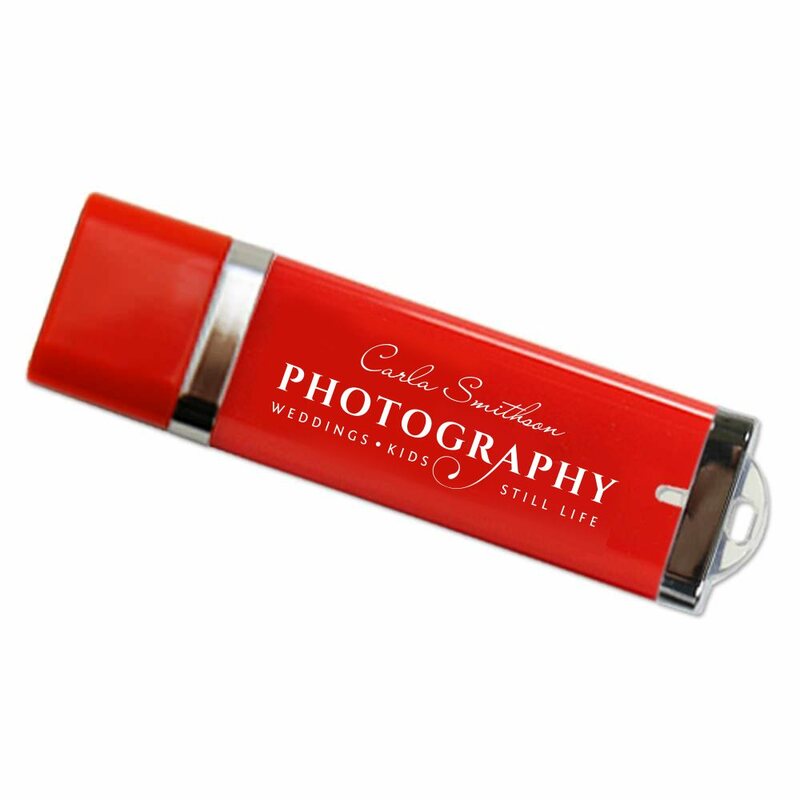 Our Premium USB flash drive is a photographer’s best friend! 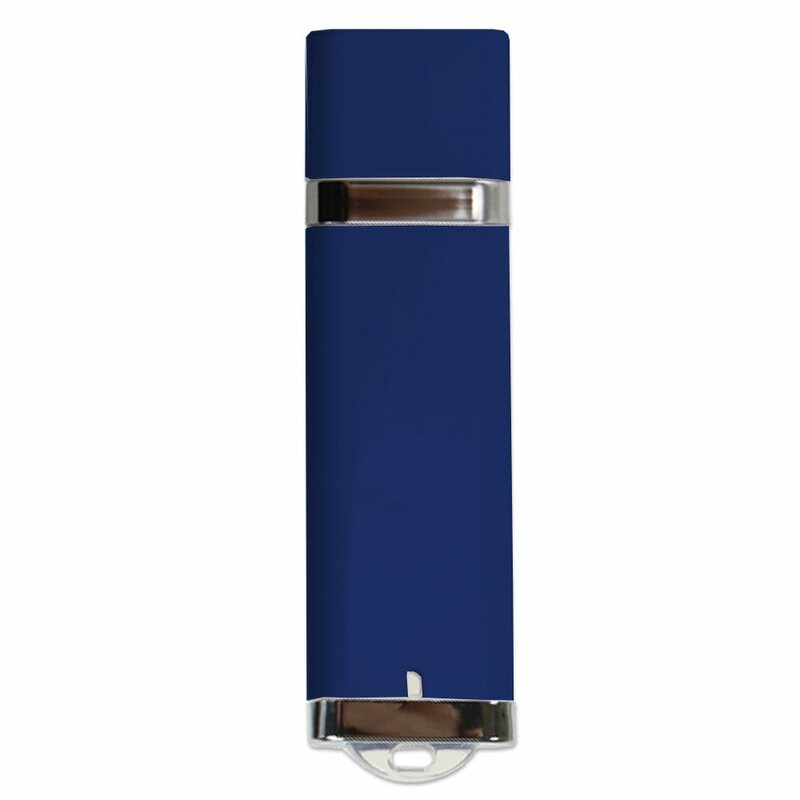 This sleek and easy to use flash drive comes in a colorful and sturdy plastic body. The Premium boasts a huge data storage capacity, ideal for holding onto your most photographs. It comes with a built-in key loop for easy transport and an LED indicator light. 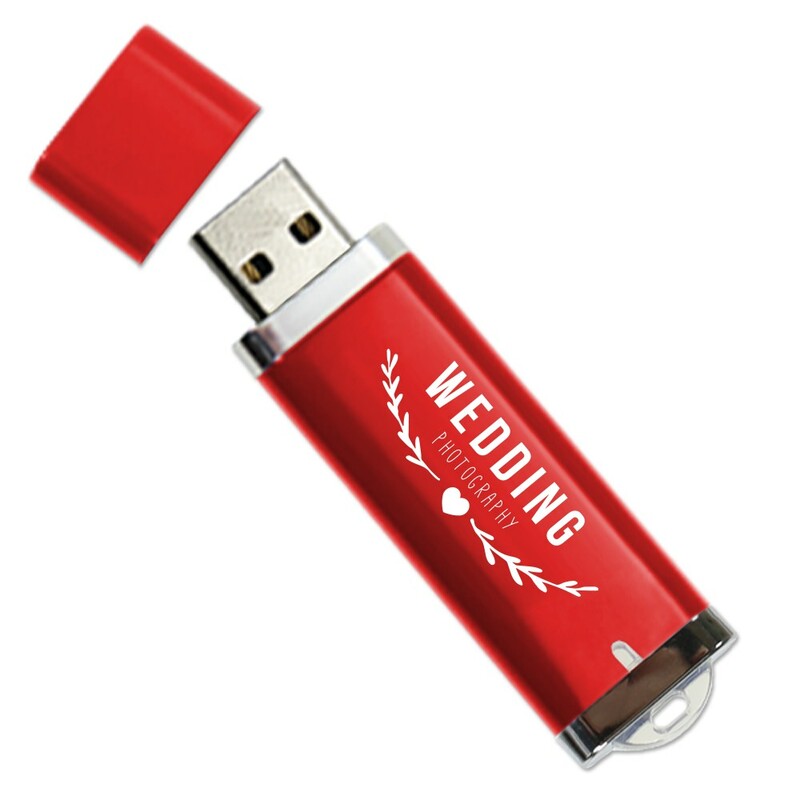 It looks good by itself or packaged in a USB gift box! Customize it with your client’s monogram or your company logo and it’ll make for a great presentation piece for weddings, family photo shoots, or corporate events! 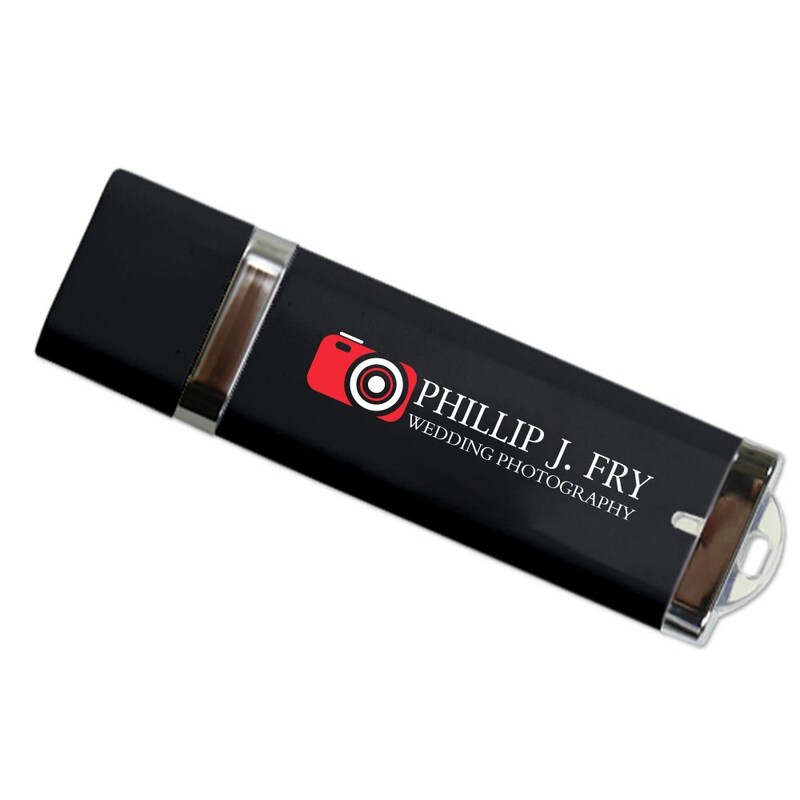 We call this flash drive the Premium because it offers premium value for any photographer who uses it! 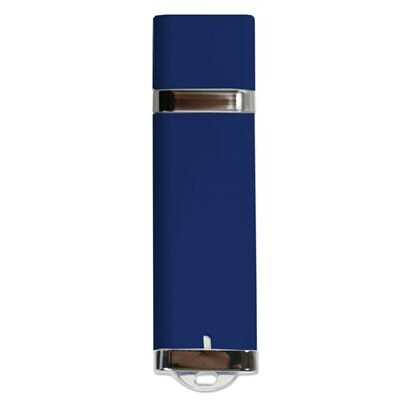 This handsome custom drive is printed with colorful and highly durable plastic. 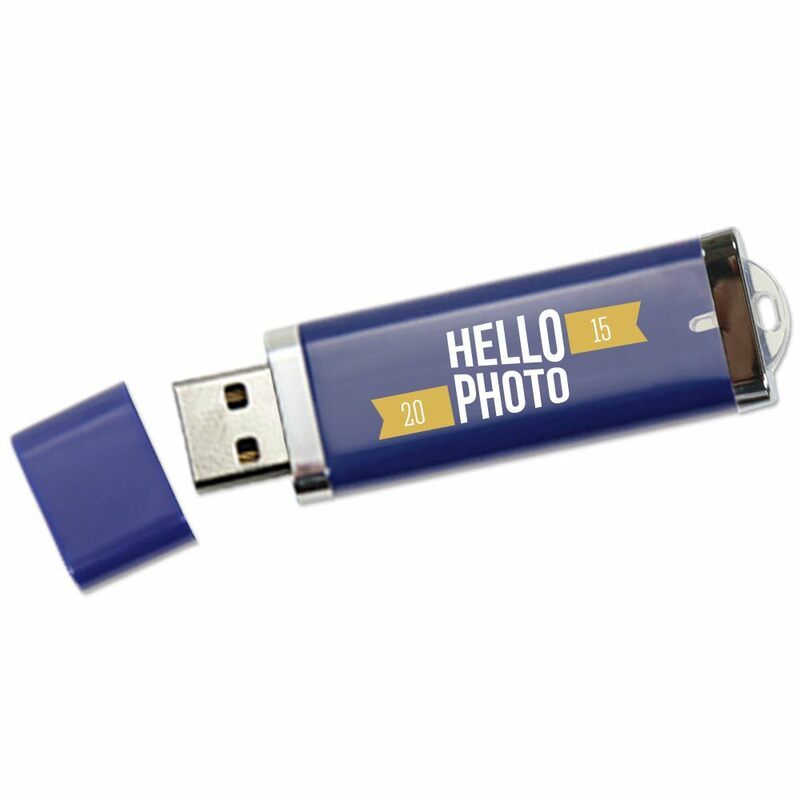 It can be customized with your logo or clients name, making it a easy way to present photos. It comes with a built-in key loop for easy transport, as well as an LED indicator light that’ll let you know when the drive is in use. It boasts huge data storage capacities, making it the perfect tool to use to backup your pictures when you’re shooting at weddings, family events, corporate gatherings, or doing photojournalism in the field. 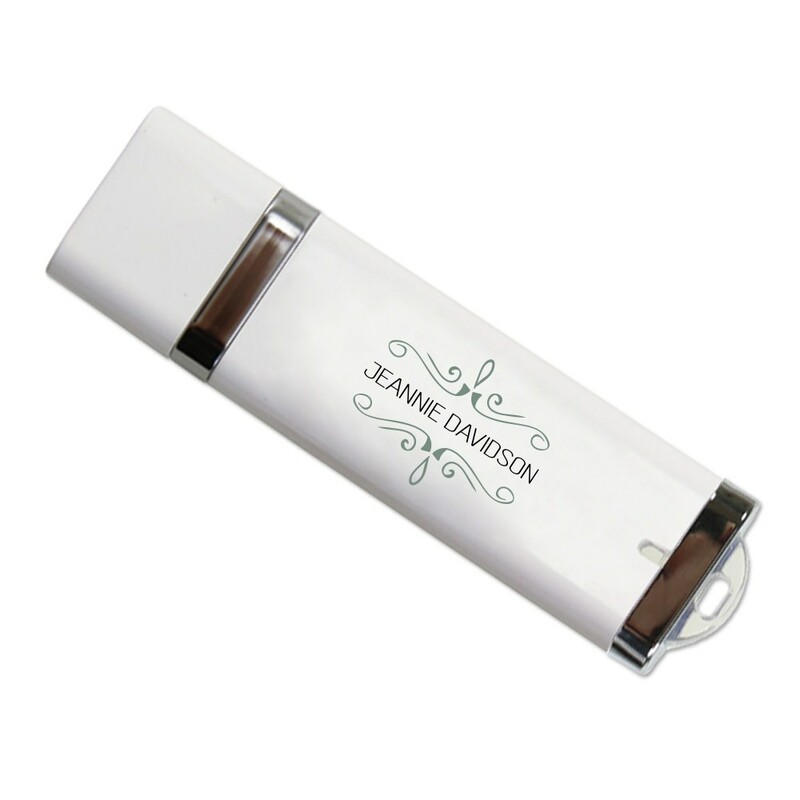 Customize this sturdy drive and you’ll have an eye-catching and appealing calling card for your photography business.